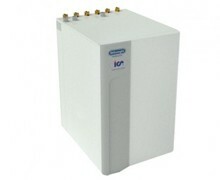 Thermsaver are the only Scottish distributor of DeLonghi-Climaveneta residential and commercial heat pump equipment. Which ground source heat pump would be of most benefit to you, is entirely dependent upon your needs. At Thermsaver, we pride ourselves on supporting clients and partners, by informing them of everything they need to know about heat pump technology. We offer training and support to our engineers at our specially designed training centre. Whilst clients can be safe in the knowledge that we offer support through the entire process of choosing a heat pump – from surveying and technical support, to installation and maintenance help. You can expect all of Thermsaver’s ground source heat pumps to operate for 20 years or more, but we would advise regular maintenance checks to ensure your heat pump stays effective.